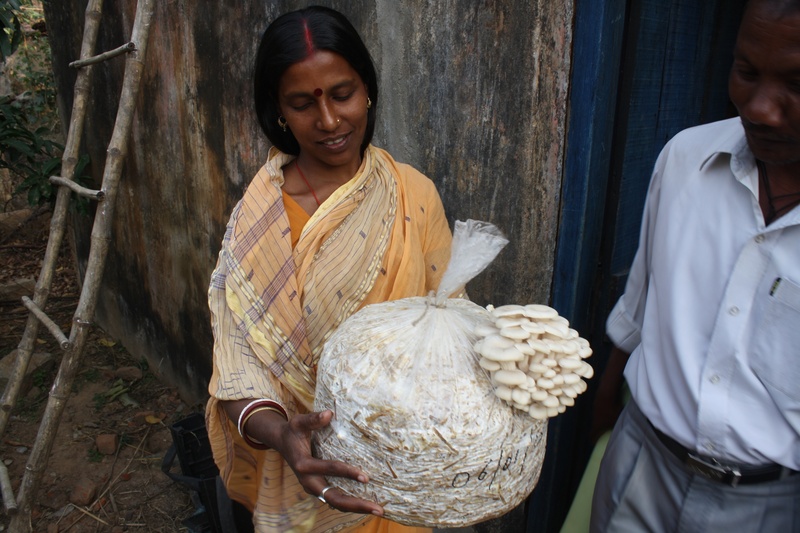 Sustainable rural #development through livelihood practices. SROI.. It is a lot easier to gauge the social impact an investment is making in rural areas of a developing world country. Agricultural development is important and crops are a big part of this, especially in India, but, with the increasing lack of water (hydrologists apparently expect severe water shortages in India within the next 10/15 years), and general scarcity which comes with having minimum rainfall (Maharashtra had 12 inch’s during each of the last 2 years and Jharkand 14inches) it is not the best way to bring areas out of poverty. 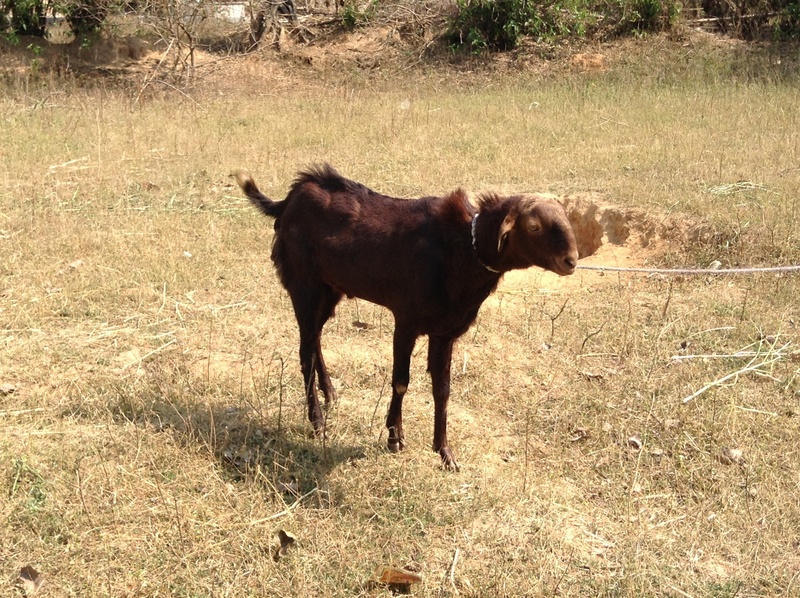 KGVK have therefore put more emphasis on livestock/livelihood. It’s a much more sustainable model with a lot less effort required. There are still some basic areas for improvement, providing vacinations to prevent illnesses is a seemingly obvious step to work on (vets have just started going to villages) whilst there is still an issue with some livestock getting eaten by wild dogs (some villagers are making pens). KGVK subsidise the initial investment, asking villagers to provide a minimal contribution to the process. A buck for cross-breeding for instance would usually cost around 3,000 rupees (33 pounds) but only 500 rupees is asked for. 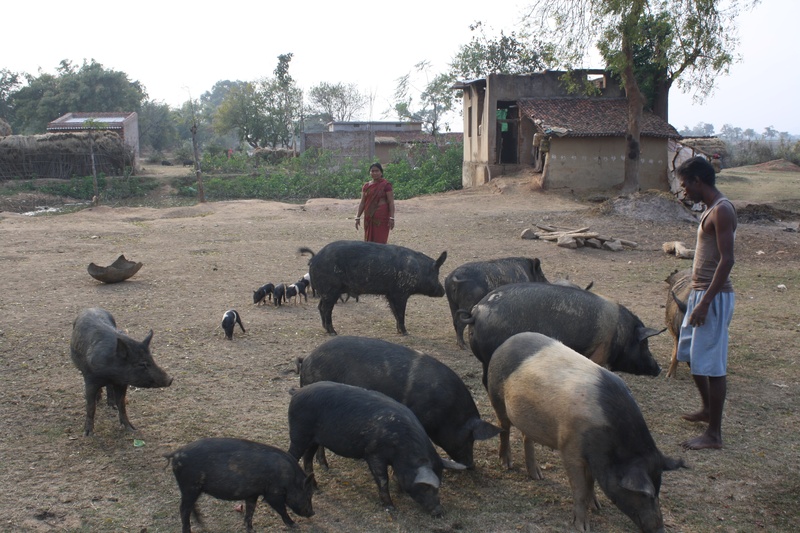 They will only give livestock if the initial investment is made and also as a group (the community are put into hemogenous SHG’s – self help groups), which normally consist of 20/30 women and another for men (part of the women empowerment model). 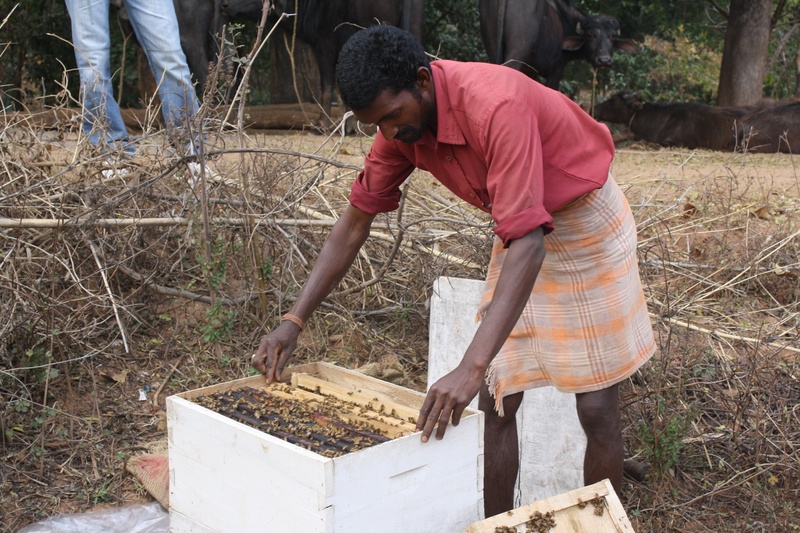 Bees (imported from Italy – less aggressive), can earn at least 200 rupees a litre. 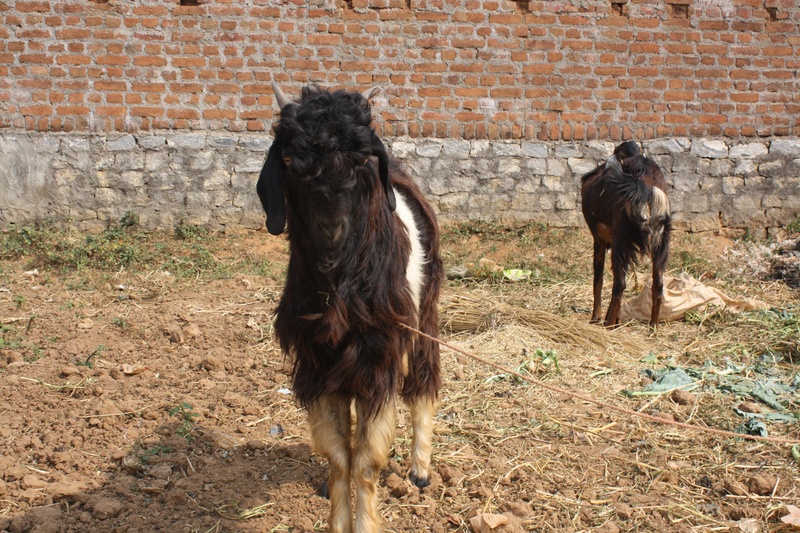 Alot of these livestock options are cross-bred – local goats are bred with a bigger variety, bigger hens are introduced to increase the size of local hens and so on. A chick can sell for 10 rupees, same as an egg. A chicken can sell for 300 rupees each (alive), whilst it only takes 2 months for a chick to grow into a hen ready to lay eggs. 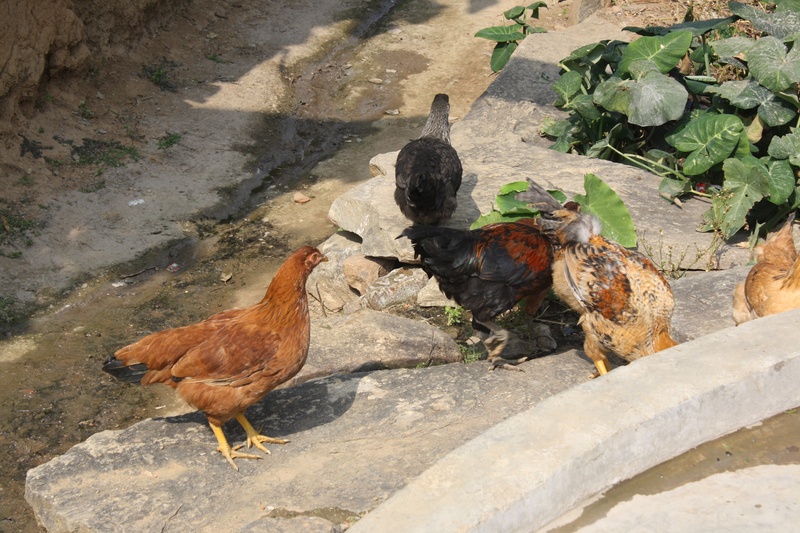 A chicken can produce upto 100/150 eggs a year. 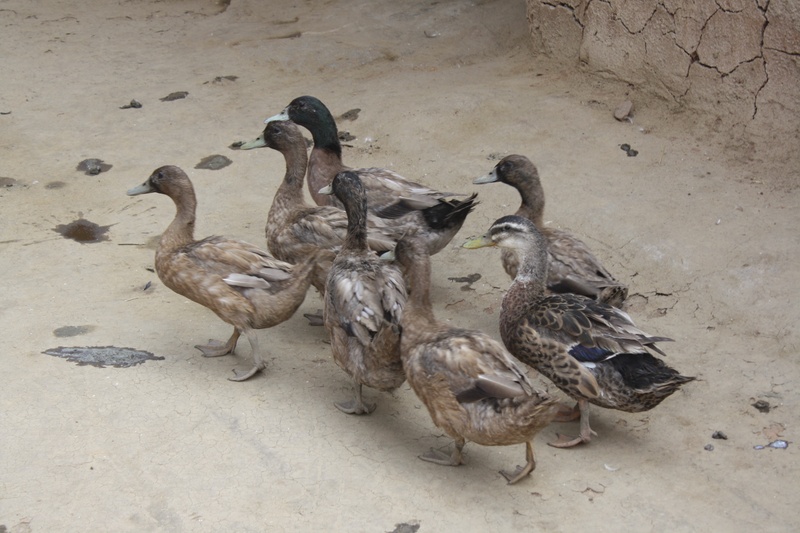 It’s the same with ducks too. They are also putting some thought into fisheries as it will help provide a further income base as well as make use of the ponds that are being created. They also provides extra nutritional benefits. 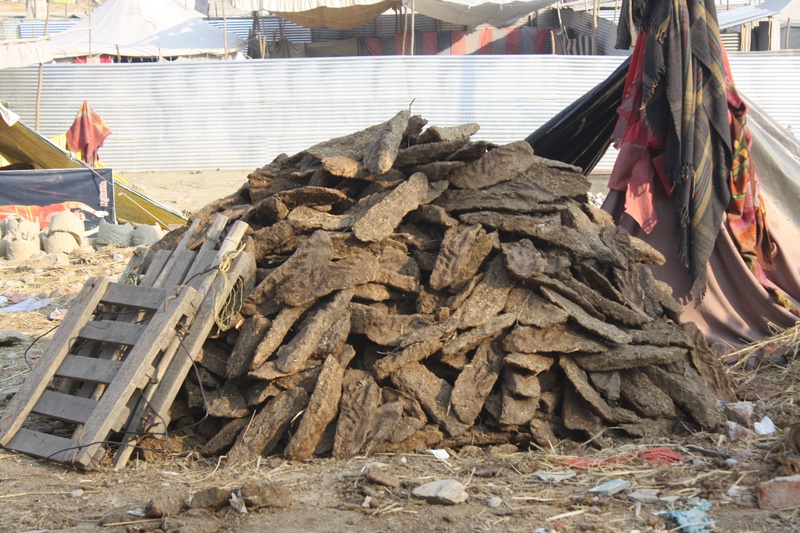 The best thing about livestock too is that they feed off pretty much anything and when you have straw left over from the various crops it can be used as fodder for the animals to feed off which brings down the amount of waste around. Other livestock though, which kgvk don’t add but already exist, are buffalos. Their milk is obviously great for providing nutrients but their faecal matter provides various benefits too and is used in bio gas, for fuel for fires and for building materials all of which can maintain houses in the villages or be sold on to add extra income although this is more likely to just be kept within immediate villages. These aren’t the only livelihood practices though – entrepreneurship and training are encouraged as a means to improve basic literacy levels and offering skills which provide better opportunities for earning. Women are being offered the opportunity due to self help groups to ask for advice or help in areas of life that they feel they can or want to add too. Initiatives therefore have been created which encouraged arts and crafts work, something which can be seen commonly as a ‘next step’ for women empowerment and gender equality in developing areas. In this instance women are trained to create various garments from designs they choose which are put forward from KGVK. Once the designs are made KGVK link them to national markets which helps to provide an income and ultimately helps to improve the levels of respect amongst the community, as before men were seen as the only ones really capable of creating the income due to the physical nature of agricultural work.